Total WOW factor here!! From the huge open kitchen with the shiniest granite ever to the absolutely amazing sunsets, this one has it ALL! The main level features 3 bedrooms, 2 baths, laundry room, formal dining room, great room, kitchen with sitting area, and a fireplace between the two. Downstairs, there is a theatre room, additional kitchen, game room, huge family room, and another bedroom and bathroom. The views of the Ozark Mountains off the decks are stunning. 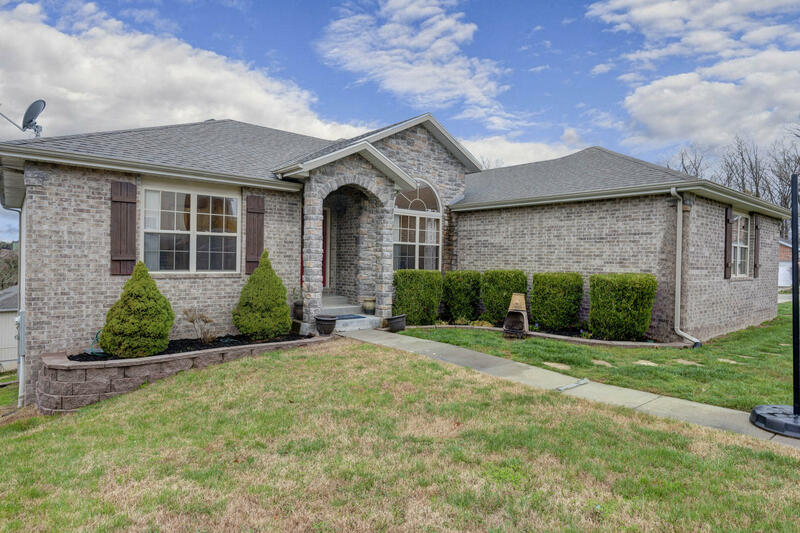 Located in the perennially popular Meadow Ridge/Horizon Hills subdivision, this north side neighborhood is prized for it's excellent location that's just minutes to the Highroad, 65, Branson Schools, shopping, creek, conservation area, and new state park. WOW!! !